Greetings, Comic Impact fans and followers! It’s Wednesday and you all know what that means, right? You don’t? Well let me tell you! Every Wednesday here at the Comic Impact website, we do this little podcast that we like to refer to as the “Pick of the Week Podcast.” I have a hard time believing that you’ve never heard of it, we’ve done over 200 of these amazing shows. And each and every one of these wonderful shows is a gem that would be a terrible tragedy to miss. Now that I’ve finished my ranting, let’s get down to business. 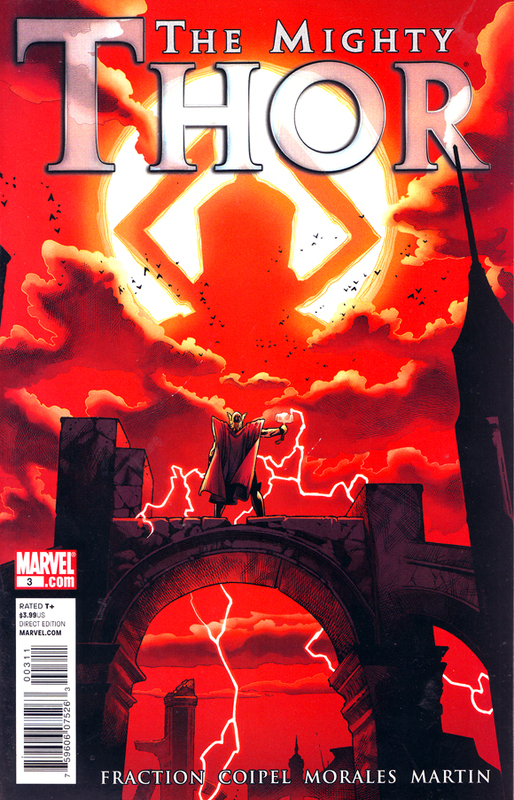 Ken has the pick this week and he decided to choose The Mighty Thor #3 as the best comic book of last week. Why you ask? Well it’s simple, it gave Ken the opportunity to sing and he wasn’t about to pass that up! Joining Ken behind the microphone this week is, as always, Simon Daoudi. It’s a very entertaining show where these two comic loving guys also take the time to discuss: Flashpoint: Reverse Flash #1, Flashpoint: Kid Flash #1, Captain America #619, Carnage #5, Green Arrow #13, Ultimate Avengers Vs. New Ultimates #5, Ultimate Spider-Man #160, Zatanna #14, and Wolverine #11! As if that weren’t enough, you also get to listen to Simon talk about how much he loves to see Green Lantern get Subway Sandwiches and the results of last week’s Poll of the Week!